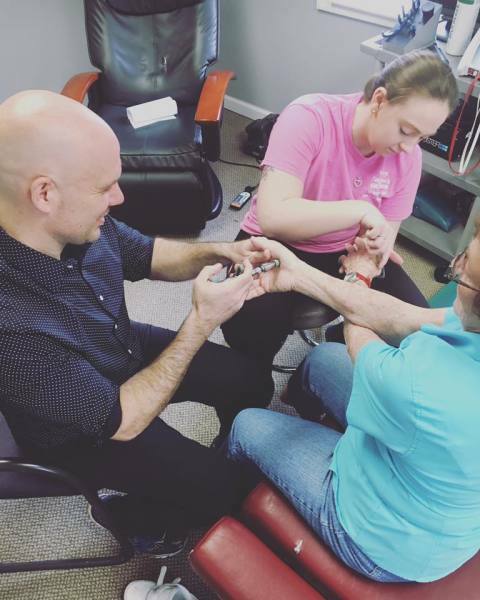 Here at King George Family Chiropractic we use a variety for tools to ensure that you are given the most amount of help we can give. Here, you will see a couple of the instruments we utilize. The first is his ART/Graston set. Doctor Pallotti uses these for soft tissue and myofascial release. 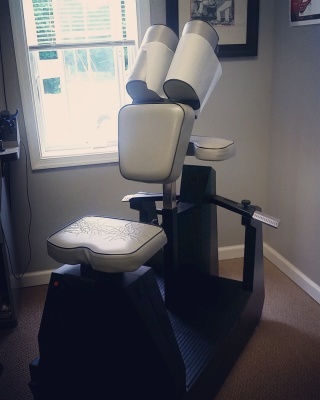 Second, you will see our Decompression table. 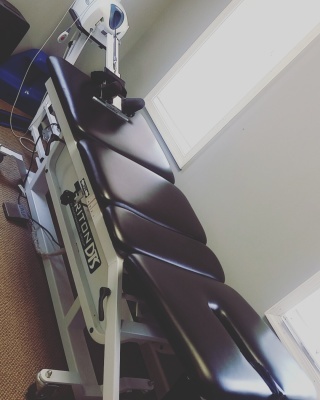 This is used for stretching patients with back pain. Lastly you see our Pro Adjusting seat. 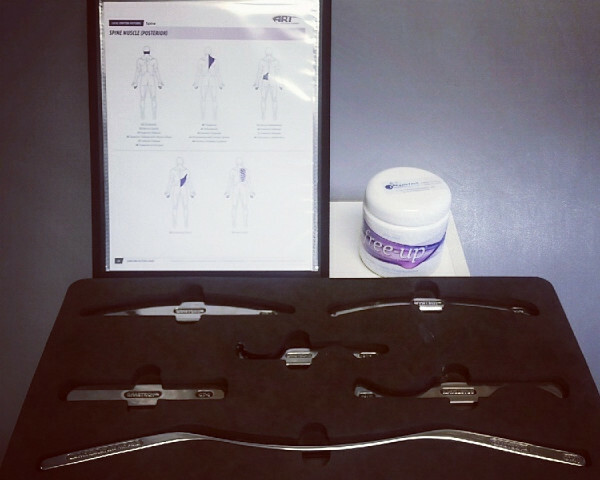 The pro adjuster uses technology to ensure a gentle, yet effective re-aligning of the spinal vertebrae. 1. We do accept walk-in patients. HOWEVER if you are a walk-in patient, you will be expected to pay a fee of $25 in addition to your co-pay, co-insurance or agreed upon payment. 2. If you have a scheduled appointment but need to cancel, please be sure to reschedule that appointment within the next week. If you fail to do so, you will be expected to pay a rescheduling fee of $25. These policies are put in place to be sure that you are able to stay on your care plans and achieve the best results posible! You work hard to stay healthy, we want you to reap the benefits of that. Also, these ensure that you have a fast, positive visit here and our office is able to run smoothly. Here you will find the new patient intake paperwork along with other paperwork you may need. If you don't have insurance, or your insurance doesn't cover chiropractic, we have a cash price of $50. We offer half hour and hour long massages.